Field Manager doesn’t have a flexible content field type as Advanced Custom Fields Pro does, but it is possible to mimic the functionality by using a little logic. // Add a flexible content field. 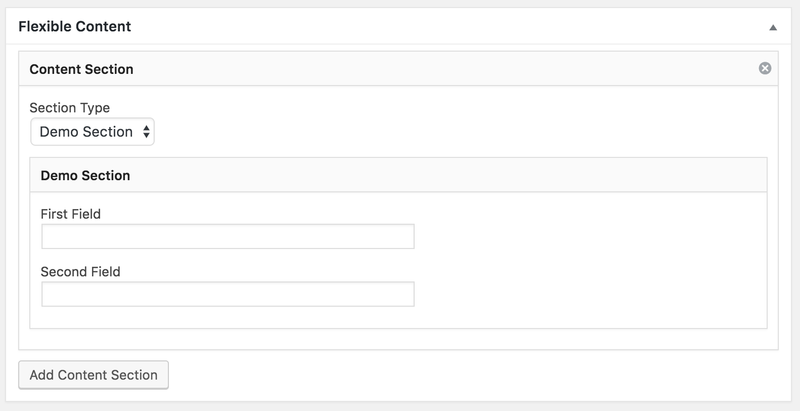 // Add another flexible content field. // Add the flexible content field to the select field. // Modify the field group to only display if the field type is selected. // Add the flexible content field to the parent field group. … and the field group for the content type will show. Even though the fields from the inactive field groups aren’t visible – they’re still there, unlike the real flexible content fields in ACF Pro. This means that if you are a heavy flexible content user, you might run into scaling issues. Many times I’ve seen sites with ~15 different flexible content fields and pages which use way more that 15 content sections. If those flexible content fields have 5 data fields on average, you’ll end up with more than 1350 data fields in total. Field Manager will then store all those data fields in a single serialized field in the postmeta table.